1. 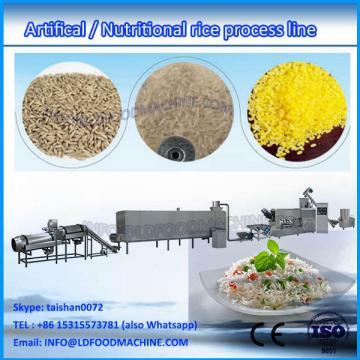 Artificial instant rice production line is that our factory desity a big long neck twin screw extruder, on the basis of summarizing many products at home and LDroad. 3. 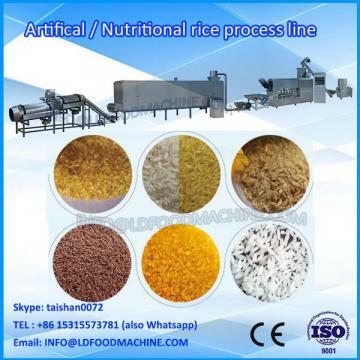 Artificial instant rice production line can adapt to a Variety of raw materials: all kinds of grains, flour, corn, glutinous rice, buckwheat, beans, starch, etc. Even animal meat high oil material also can produce qualified products. 7. 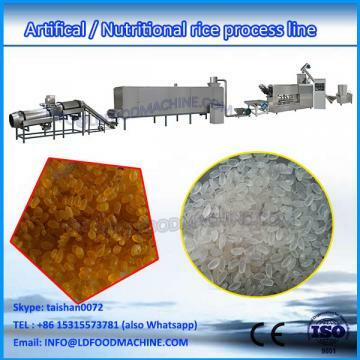 Application: High quality automatic artificial nutrition rice make machinery’s application is very wide, such as leisure food processing, feed production, medicine, green binder, etc. and it covered many industries. High quality automatic instant rice production line is order to improve broken rice's value,mill the broken rice into rice powder, and then we make it into nice outlook, brightly, realistic rice.